Kate and Humphrey VS Alphas. . HD Wallpaper and background images in the Alpha and Omega club tagged: photo kate humphrey alpha and omega. one of the best scenes in the whole franchise! Finally pushing Kate and Humphrey to their full potential. Just wished the fight between them was longer with more biting and clawing, maybe even a little blood. well Richard Rich and Tom Kane definitely surprised us with this, and i salute them both! I just realized how most of the wolves in Daria's pack are remodels of Claws, Scar, Candy, Sweets, Candu, and Nars. @SentinelPrime89: Agreed. If Watership Down can get away with PG-13 level gore at a PG rating in 1978, then I'm sure A&O4 could get away with a bit of blood and injuries at a PG rating in 2014. @LillyOmega2 Maybe sometime soon, I'll rewrite the fight scene. 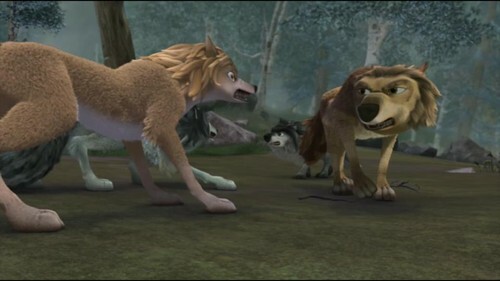 Give the enemy wolves some names and have Humphrey and Kate suffer some injuries (minor injuries though or it wouldn't really work given the film's ending). Plus extending the fight to a slightly longer length. I was actually thinking about writing something about Daria something and posting it here. Just the flashback alone makes me want to put that into words, extend it, and make it darker than it is. Maybe even do with A&O4 what I did with A&O2 (make into a fanfic with my own scenes added to what happened in the movie) once I get the DVD so I can write all the quotes in the movie from the subtitles. The download of it I have doesn't come with subtitles. Well, when his pup and one of his friends is in danger, that goes out the window. That'd be cool too. I want to know how her mother died, if she was murdered for treason or if she remained hidden and died of natural causes. Maybe even suicide to save herself the pain of having to leave her disabled daughter behind. Well, in my latest zombie story I decided to include Daria and the history I gave her is that her mother was killed by the Alpha male and the Alphas they fight in this picture for saving Daria from being killed. But I may change that up when I do a non-horror story that includes her. It's not Candu and Scar, just character remodels. You also see character remodels of Claws, Candy, Sweets, and Nars in Daria's pack. Daria is a remodel of a background character from the first two (not Candy, but another gray-white she-wolf who appeared when Kate said she'd marry Garth; later a rogue in A&O2 who gets crapped on by Marcel and Paddy at the end).